Put your fashion mantra on display with the Bally™ Trainspotting Baseball Cap. Signature trainspotting web stripe embroidered with brand name logo. Product measurements were taken using size MD (58). Please note that measurements may vary by size. 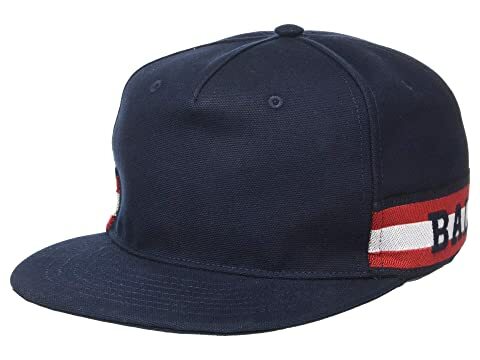 We can't currently find any similar items for the Trainspotting Baseball Cap by Bally. Sorry!